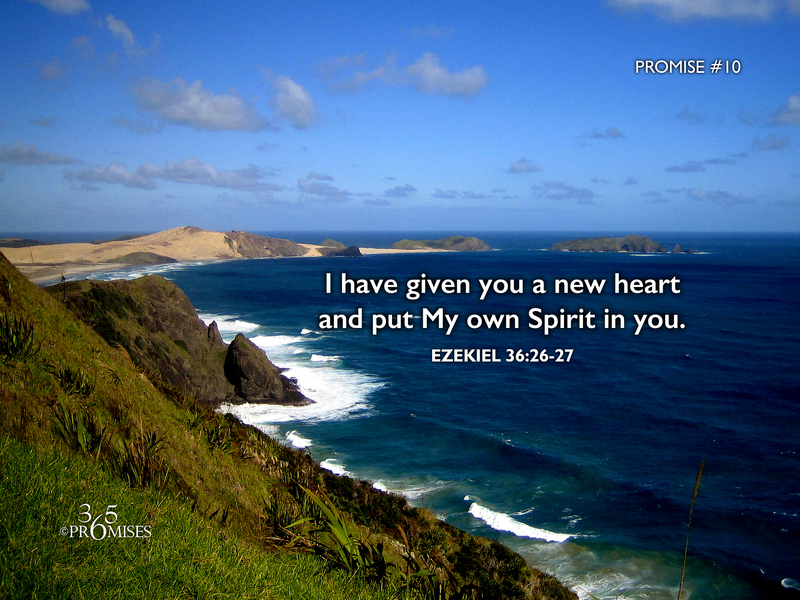 I have given you a new heart and put My own Spirit in you. 26 I will also give you a new heart, and I will put a new spirit within you; and I will take away the stony heart out of your flesh, and I will give you a heart of flesh. 27 I will put my Spirit within you, and cause you to walk in my statutes, and you shall keep my ordinances, and do them. This passage of Scripture is pointing to the day when people would no longer have to live a life separate from God. They would no longer have to try and figure out what the Lord desired from a distance because God promised to give them a new heart and put His own Spirit within them. Of course this promise was fulfilled when Jesus Christ, the Lamb of God, came into the world and made a way for each one of us to receive the free gift of salvation. Because of Jesus' death, burial and resurrection, we no longer have to live with a cold heart of stone because He has given us a new heart. Because of the New Covenant, we no longer are separated from God because He has given us the most precious gift He could give...the gift of Himself. God has given each one of us a new heart and He has put His own Spirit within us as a deposit to guarantee our inheritance. There is no greater gift that He could give. May we be aware of the abiding presence of God that lives in us today and have a heart of thanksgiving to God for giving us the precious gift of a new heart and His own Spirit!